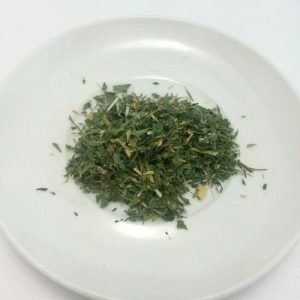 Alfalfa tea known by several names such as Lucerne or Lucerne Grass, Holy hay or Tree foil is an herbal infusion made from the leaves, sprouts or seeds of the alfalfa plant. A storehouse of nutrients, vitamins, and minerals, the tea, has a strong flavor. 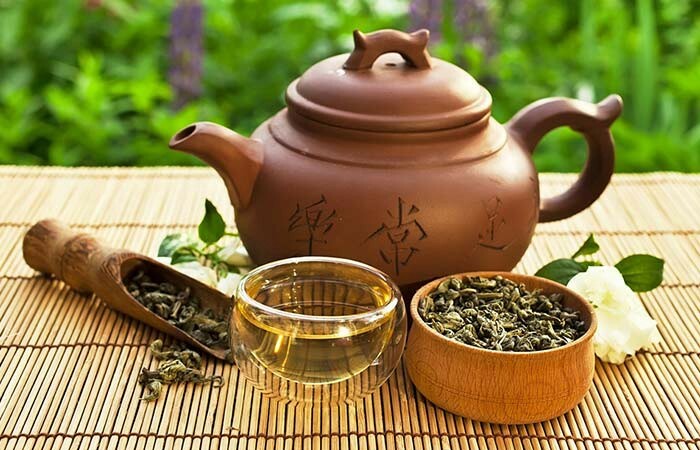 From traditional Chinese medicine to Indian Ayurveda, the tea has had an extensive usage therapeutically. 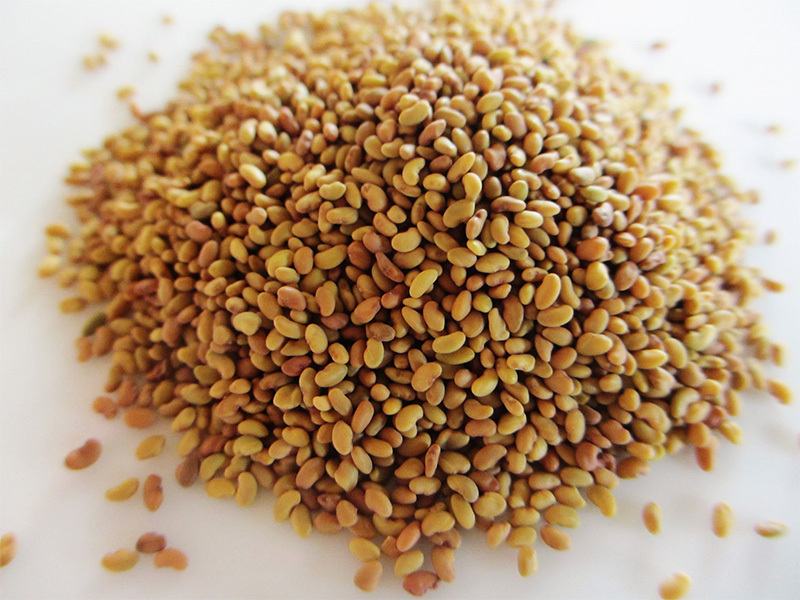 The herb, Medicago Sativa ( Latin name for alfalfa) primarily originating in Asia owes its multiple health properties to its deep roots that enable it to retain useful nutrients from the soil. Vitamins such as A, C, D and K, minerals like calcium, magnesium, iron, phosphorus and potassium along with an abundant quantity of chlorophyll present in the tea serve as potential appetite stimulants especially after sickness. The presence of high enzyme levels tends to restore the health of the digestive tract and helps in regulating the pH levels in stomach thereby benefitting people with gastrointestinal ulcers, gas, constipation and diarrhoea. 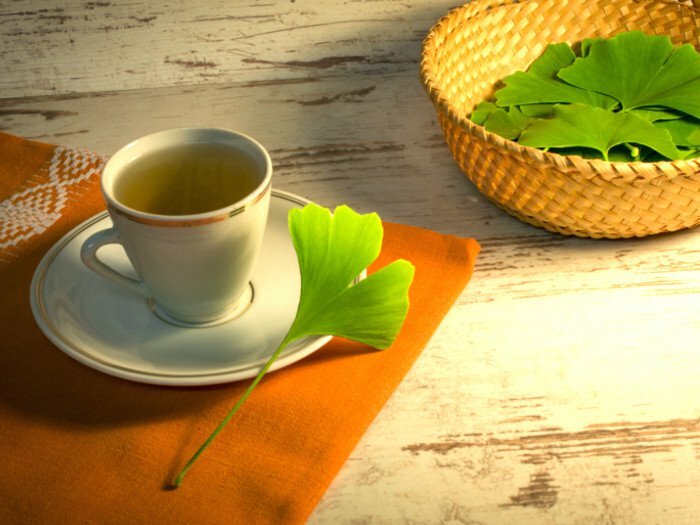 The copious amount of vitamin K found in the tea seems to aid blood clotting, protect one from conditions of a nose or uterine bleeding. The tea contains iron that leads to the formation of the protein haemoglobin required to carry oxygen to the body tissues thereby arming the body against anemia. The tea seems to contribute to the efficient flushing of harmful toxins from the bowel, aiding in massive water retention. The presence of phytonutrients such as L- canavanine and chlorophyll tend to increase the body’s capacity to resist diseases, helping to maintain a strong immune system. Clinical research has shown alfalfa to possess blood sugar reducing properties, primarily due to the high content of manganese present in it. 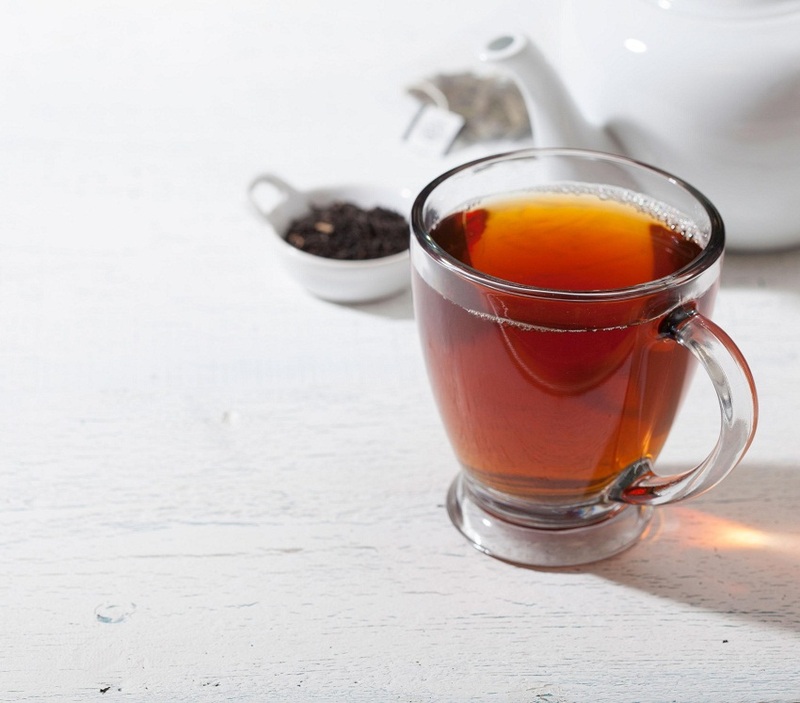 Drinking this tea on a daily basis may assist in keeping your sugar levels in control, though medical assistance should be sought by those already on diabetes medication. 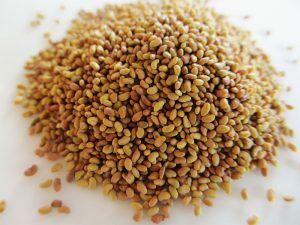 The phytoestrogens such as coumestral, genistein, and biocanine present in alfalfa makes it a strong estrogen, thus being useful to combat symptoms in menopause occurring due to the deficiency of this hormone. However, drinking too much of the tea may have an adverse effect on the hormone levels. 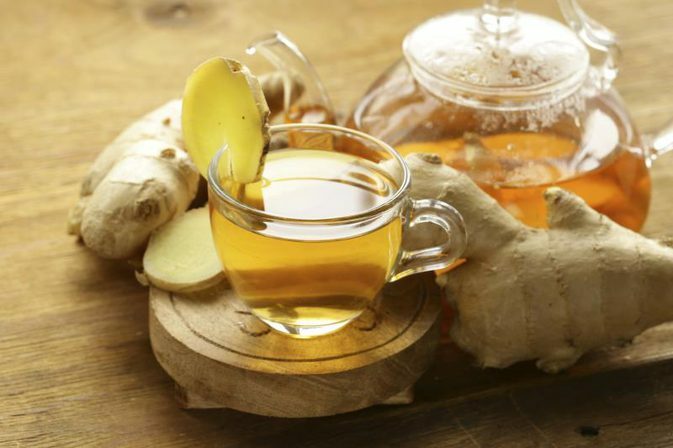 The tea serving as a good detoxifier, may lead to the reduction of acid levels which can further result in lowering the chance of joint calcification thereby significantly lessening arthritis and gout. 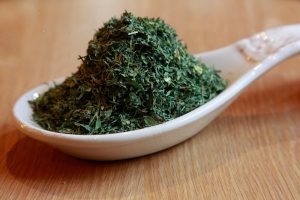 Studies have revealed that alfalfa contains chemicals and fibres which stick to the bad cholesterol present in the blood preventing it from staying in the arterial walls, thus minimizing possibilities of a plaque build up and in turn helping to ward off a heart attack or stroke. According to several studies, the enzyme lipase found in the tea may effectively break down fat and thus help in reducing weight. Vitamin A, present in the tea helps in the production of certain pigments required to enable the photoreceptor cells in the retina to function properly thus restricting an eye problem such as night blindness. Besides this, Vitamin A further is shown to reduce dry skin problems and enhance complexion of the skin. According to individual studies, active ingredients in the tea may bind carcinogens within the colon and result in their fast elimination. However, more researche needs to be done in this area. The tea’s storage of calcium and phosphorus helps to make jaw bones and teeth healthy and prevent bad breath as well as oral plaque. 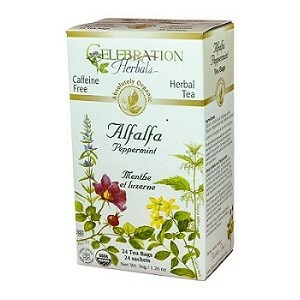 Sipping a cup of alfalfa tea with nettle leaves may have a soothing effect on the nerves, helping to induce sleep. 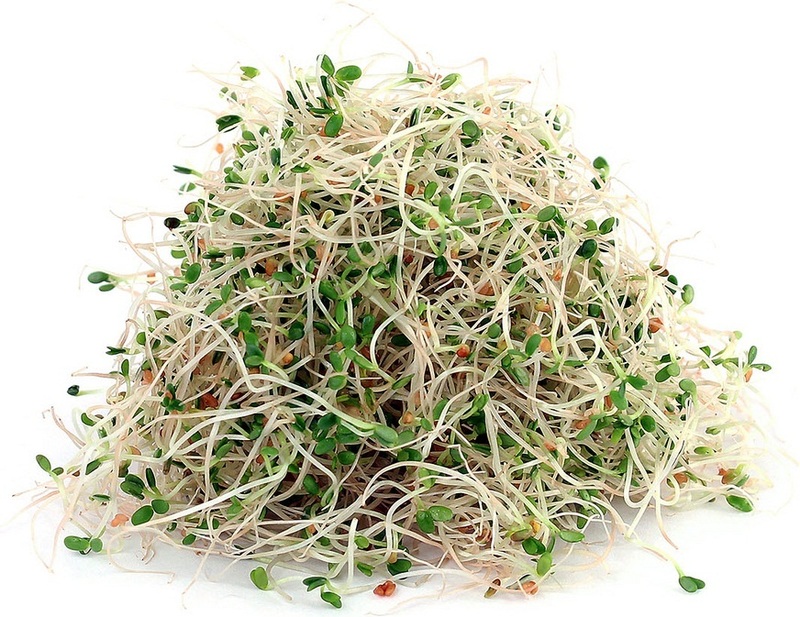 The seeds of alfalfa were used in folk medicine to combat breathing concerns like asthma. Making a tea with the seeds of this herb might be beneficial in strengthening respiratory problems. The tea further seems to provide relief from inflammatory conditions such as headache, migraine or infmmations of the kidney or bladder. 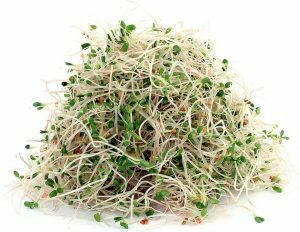 For making the tea with alfalfa seeds, you need to add one teaspoon of crushed seeds to four cups of water and boil for 30 minutes. 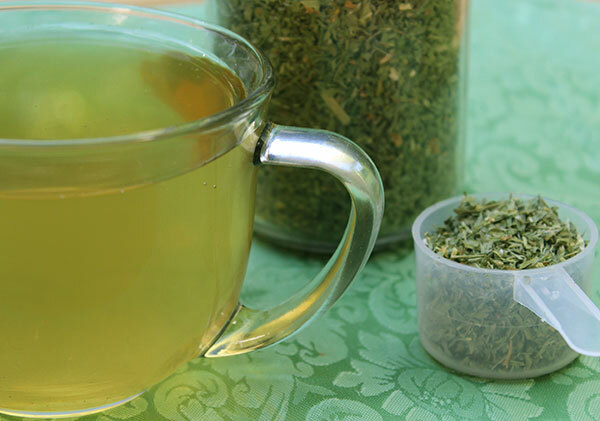 For a flavored tea, you can add mint to the preparation. Although the tea does not seem to have any known side effect, however, drinking it in large quantities may lead to bloating. 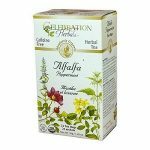 Though alfalfa tea is said to be beneficial for late pregnancy because of its Vitamin K content which may help preventing post partum haemorrhage, a doctor’s advice should still be sought before drinking this tea when pregnant. However, it can be taken post pregnancy since it is believed that alfalfa tea may increase the amount of milk in breastfeeding mothers, though only after consulting a doctor. You can buy loose tea leaves, seeds or tea bags online or from herbal stores.